Have you heard of mammals that are venomous? Animals usually produce venom to kill or disable prey, or to defend themselves from predators. Amongst the animals in the planet, fishes and reptiles have the most number of venomous species. There are a few species of venomous amphibians and none for birds though there are poisonous birds. Well, how about mammals, are there venomous mammals? Venomous mammals are quite rare. Here are the few venomous mammals or mammals that use poisonous or noxious chemicals in some form. The Great Long-nosed Armadillo can also release a disagreeable musky odor when threatened. It is found in South America. 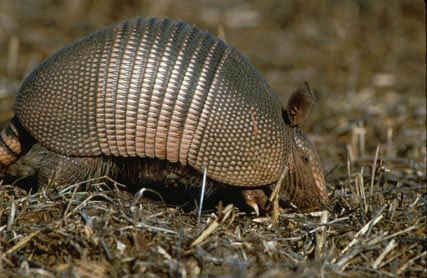 The Great Long-nosed Armadillo has spurs on the hind legs that allow them to crawl on their knees into narrow tunnels. These animals are not as venomous or as deadly like the venomous fishes and reptiles but still they can inflict damage to humans. Extra care should always be observed when dealing with these animals.